Kilian is where young soldiers go to learn the art of warfare and where old soldiers return to fade away. For them and most other Humans, it is the shining symbol of UEE military might. Located at the heart of the Empire, a single jump line away from Terra, and home to hundreds of military barracks, training facilities, shipyards and support facilities. Kilian’s economy is based entirely on the massive military presence, with weapons manufacturers and ship designers flocking to the system to offer their wares. Between the shipyards at Naval Station MacArthur to the Marine headquarters on Corin, Kilian may be the safest place in the galaxy . . . if you’re on the right side of the law. Kilian itself is a white A-type main sequence star orbited by fourteen planets. 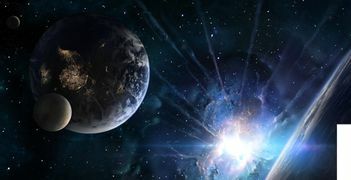 The discovery of Kilian occurred early in man’s expansion into the galaxy. 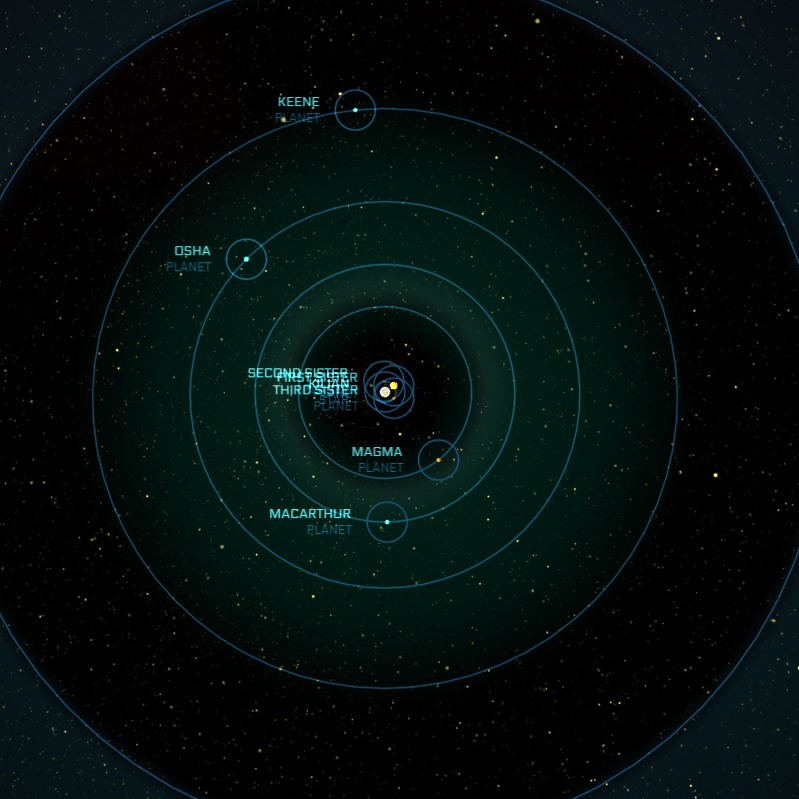 Terraforming of green-band planets began very early, as did the garrisoning of military forces here. While there was no specific plan to build out the system specifically as a military base, it naturally evolved from a forward base in the early days of exploration to the most important headquarters in the galaxy, as power shifted towards the region of space surrounding Terra. Only the UEE Army continues to maintain their formal headquarters on Earth; the Navy and Marine top commanders now direct troop and ship movements from armored city-bases on planets in the Kilian System. As a collateral development, Kilian has generated a large civilian population and is fully represented in the UEE Senate. The economy of this fourteen-planet system is primarily military-industrial, containing countless military barracks, training facilities, and shipyards, including the Navy headquarters on MacArthur (Kilian V) and the Marine headquarters on Corin (Kilian IX). This combination of military facilities and business makes Kilian one of the most important and safest systems in the UEE. Kilian is a Main Sequence Dwarf-G star. Part of a trio of worlds known as the Three Sisters, Kilian I is a hot Jupiter that shares an orbit with Kilian II and Kilian III. Access to the Three Sisters is restricted due to the worlds' use as a Navy weapons testing site. Part of a trio of worlds known as the Three Sisters, Kilian II is a protoplanet that is in the L4 Lagrangian point of Kilian I. Access to the Three Sisters is restricted due to the worlds' use as a Navy weapons testing site. Part of a trio of worlds known as the Three Sisters, Kilian III is a protoplanet that is in the L5 Lagrangian point of Kilian I. Access to the Three Sisters is restricted due to the worlds' use as a Navy weapons testing site. Highly geologically active with numerous volcanic ranges, Kilian IV's unstable surface makes a dangerous workplace for those seeking to mine the planet's numerous resources. Claimed entirely for military purposes, Kilian V is home to the UEE Navy headquarters and has the distinction of housing the largest population of starmen in the Empire. A temperate world whose population is primarily composed of civilians and Citizens who are associated with the MacArthur Navy base wither through employment or family. Corporations eager to do business with the Naval headquarters on MacArthur frequently establish offices and factories on Kilian VII to ensure that they have a foothold in-system. An extremely toxic ocean planet that is very inhospitable to Human life. This ice world serves as the headquarters to the UEE Marines and is considered to be one of the most heavily guarded planets in the Empire. A mineral-rich dwarf planet that is not being actively mined due to a dispute over its rights. The matter has been an ongoing court battle since 2941. A gas giant surrounded by automated harvester platforms. A lifeless uninhabited terrestrial ice planet. A small dwarf planet notable for its unique smoky quartz-like surface.